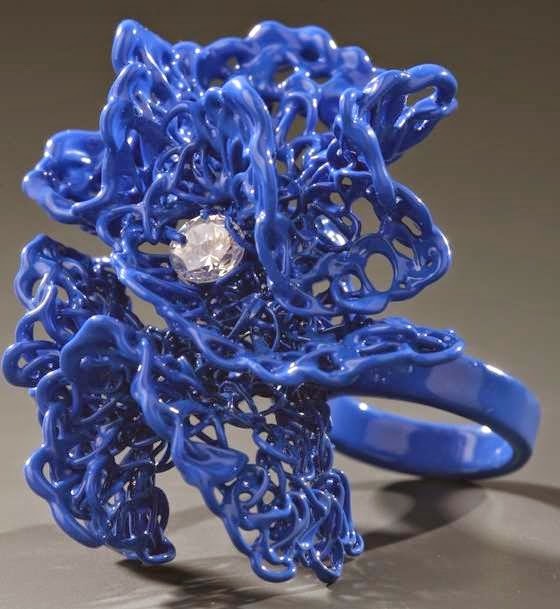 Katie Schutte is an U.S.artist of jewelry, with a BFA from Kent State University in 2006 and an MFA from Miami University in 2011. 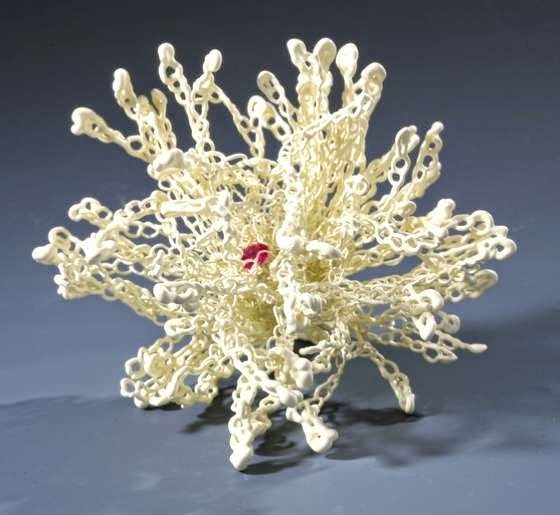 Her work has been shown in exhibitions and received many awards. 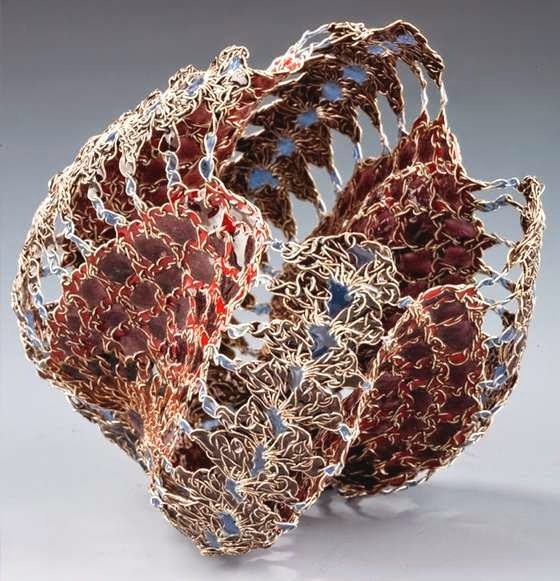 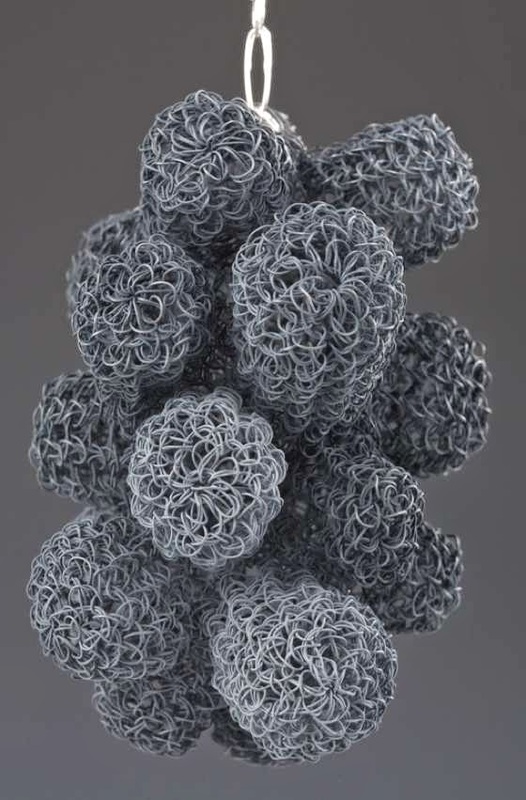 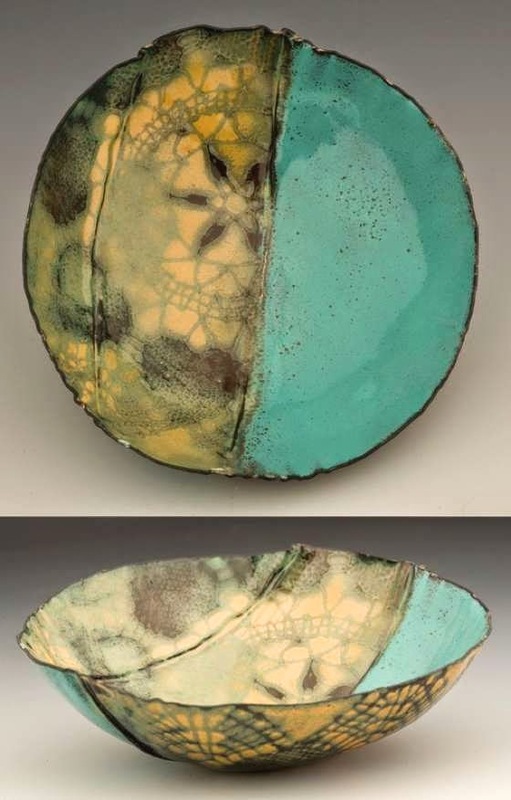 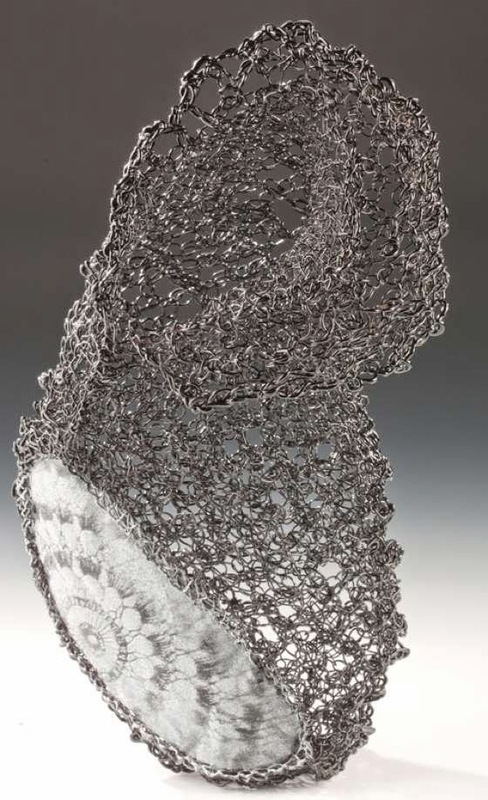 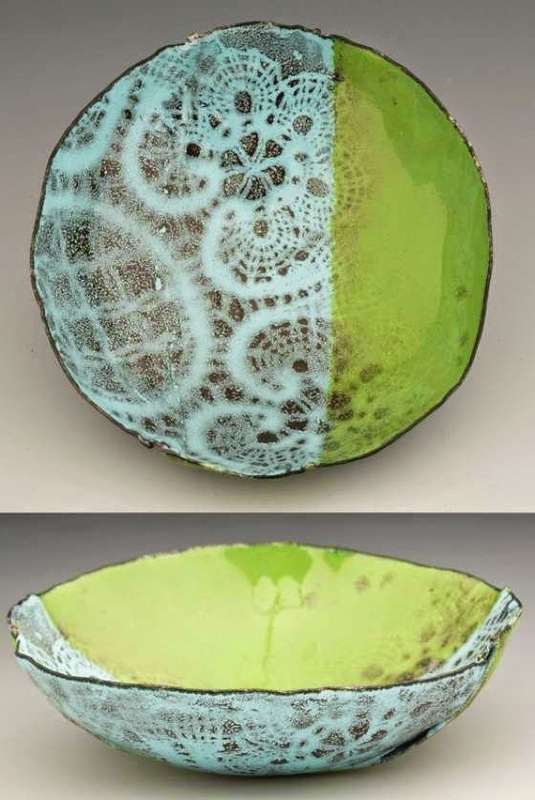 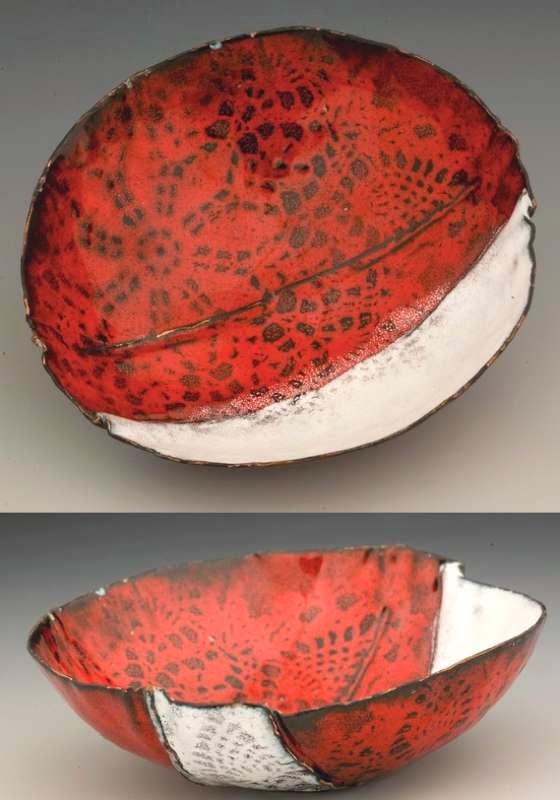 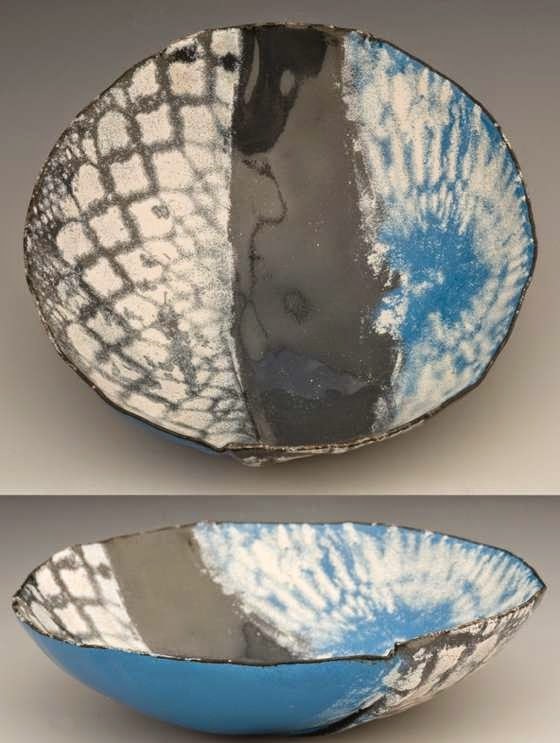 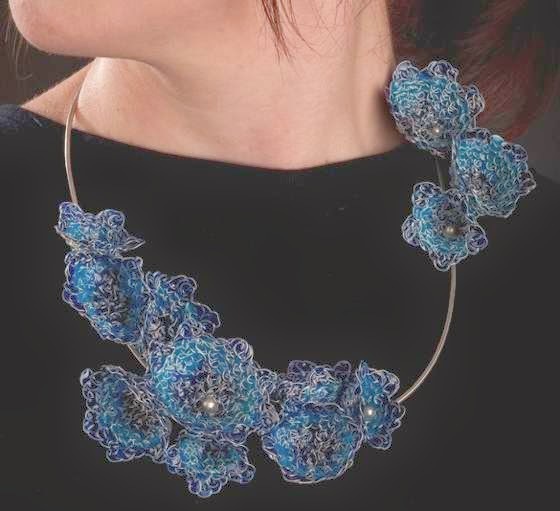 Her research focuses on the exploration and implementation of techniques such as crochet methods for working with materials and processes associated with jewels, enameling and metalworking. 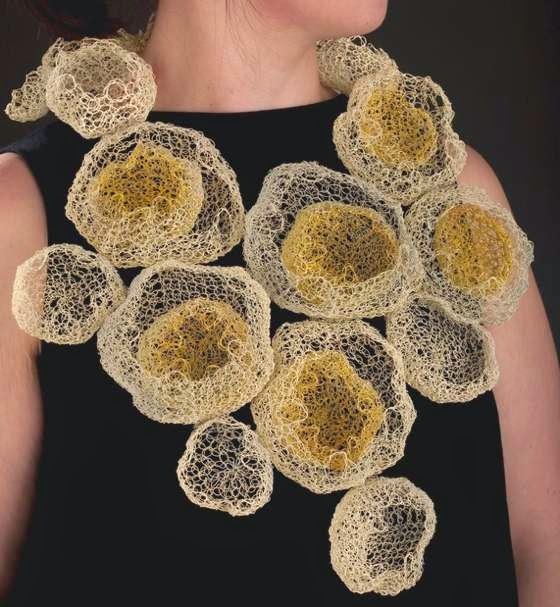 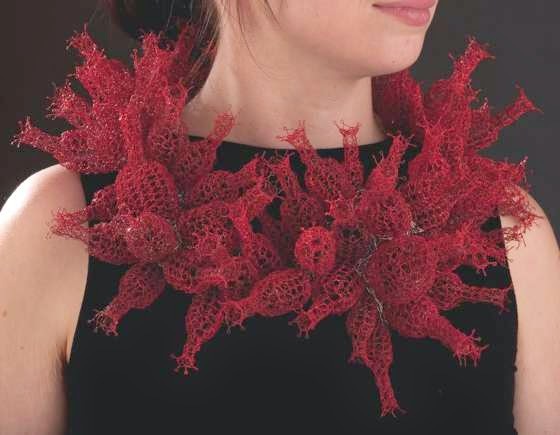 By combining crochet with metal, Katie tries to eliminate the barrier between art and craft, creating objects and wearable jewelery with shapes, textures and organic surfaces, beautifully braided and twisted.